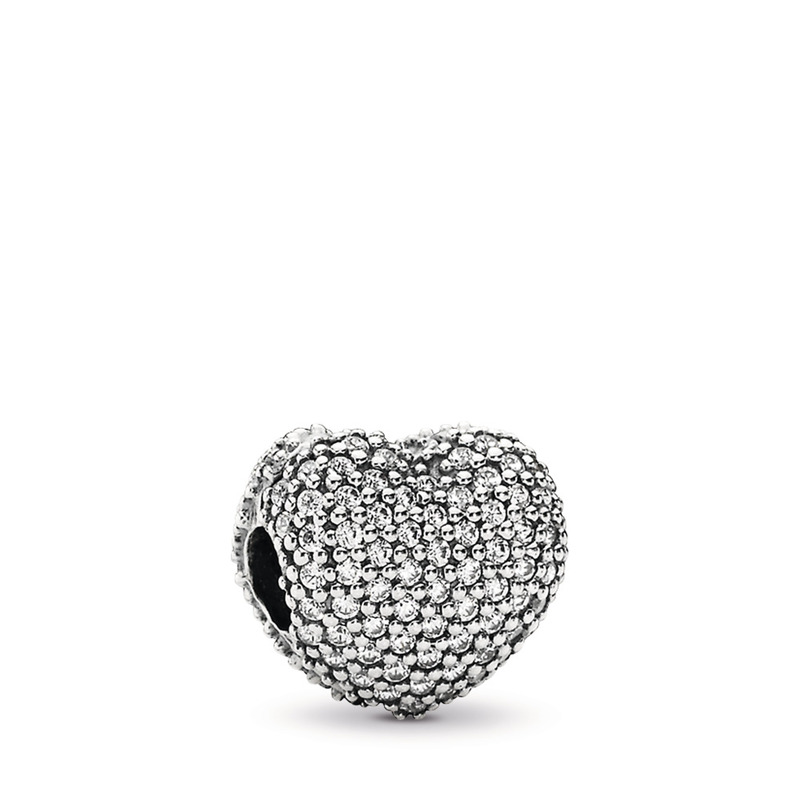 Show how bright your love shines for her with this romantic design. 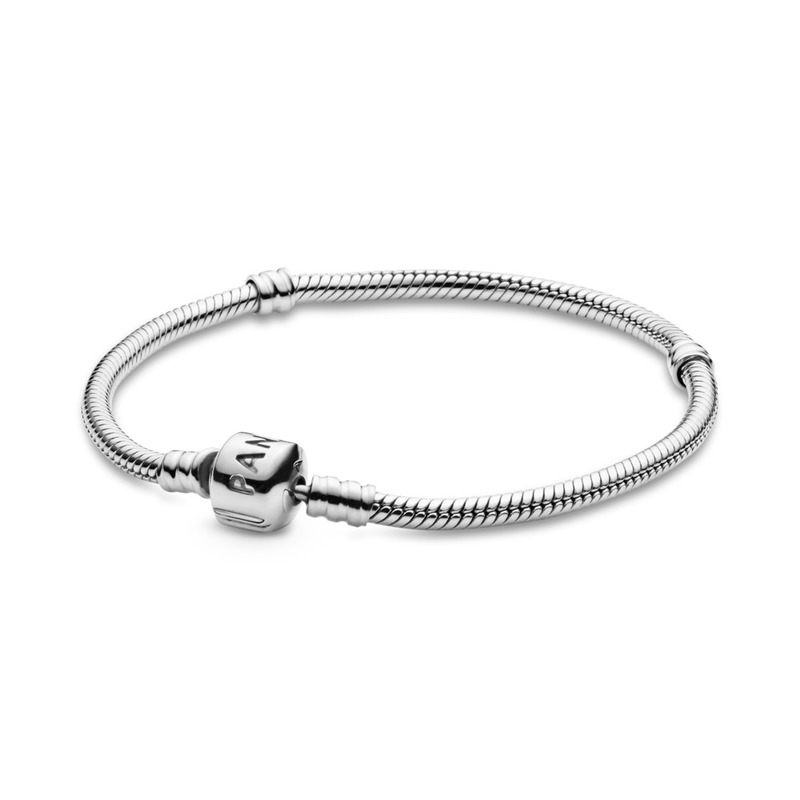 This classic sterling silver bangle is anchored with two Pavé Open My Heart sterling silver clips. 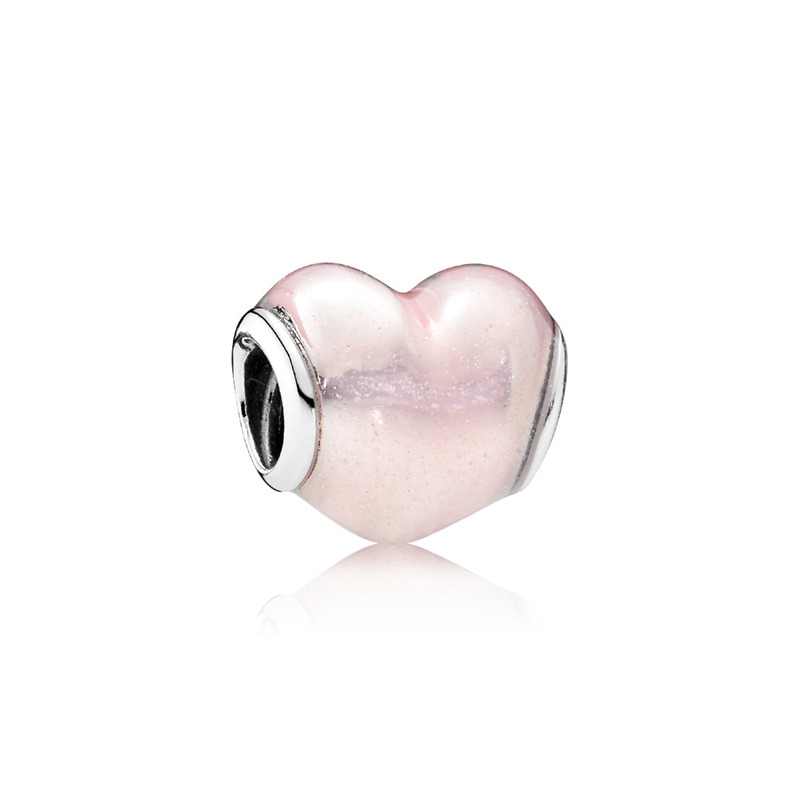 At the center is the Glittering Heart sterling silver charm with soft pink enamel which is the perfect finishing touch to a gift that means so much.